Personally I haven't watched Vivid Red Operation but from what I can tell she is pretty character accurate. To me at least she looks great for it was her outfit which drew me to her, so cute. Akane is in her Palette Suit which correct me if I am wrong she wears into battle. Like I said I know nothing about the series but to me it looks like something those girls who twirl batons in marching bands would wear. As per usual the paint work is perfect and her articulation is good. 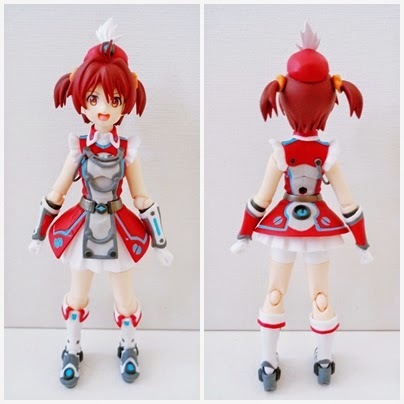 However like all figmas before her even though her skirt is made of soft plastic it still restricts her leg movement somewhat, but this is unavoidable. Akane comes with three faces all nicely painted. I love the cheeky tongue one and the blush on her cheeks on the smiling one. 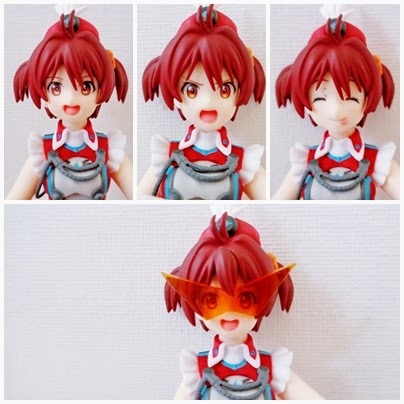 She also comes with an alternative fringe piece which has attached glasses that I assume are involved with some sort of special attack, they look pretty crazy! 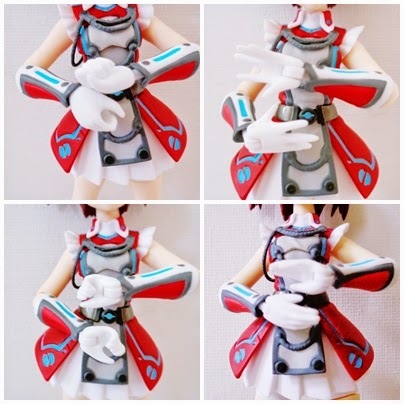 She comes with five pairs of hands including a pair for holding her weapon. 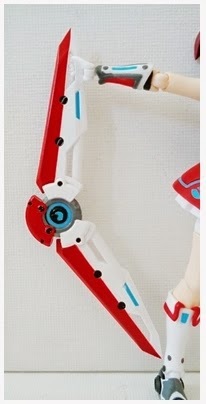 She then comes with her boomerang like weapon which is very cool and is almost the same size as her. 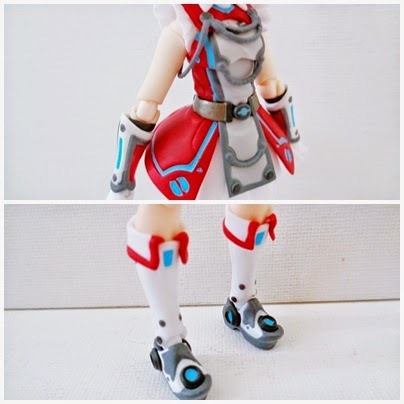 Lastly she comes with two effect pieces for her shoes which signifies her taking flight, very cool indeed, I always like effect pieces. Over all she is a cool figure but was a little pricey for a figure a little short in my opinion on accessories but that seems to be the way that most figures are going these days, however on sheer cuteness I think she was well worth it and she is a happy addition to my collection.